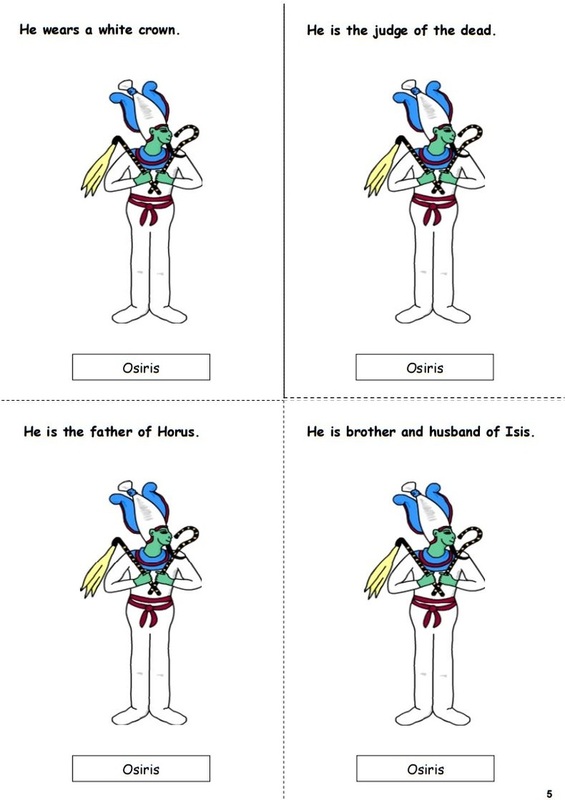 Egyptian Gods & Goddesses Activity - HISTORY'S HISTORIESYou are history. We are the future. 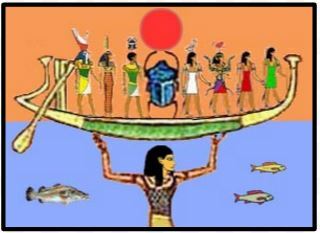 The ancient Egyptians worshiped over 2000 gods and goddesses. You should begin this activity by finding out a bit more about a few of them. To do so CLICK Ra in the gods family tree to the right. An adage is an old saying. “Wise as an Owl” and “Busy as a Bee” are two examples. If you were to create an adage about a dog what might you come up with? Loyal as a dog? Friendly as a dog? What about Playful as a dog? The ancient Egyptians did something similar. They created gods that had attributes found in nature. Many of their gods had animal heads and bodies based on the animals they knew. The jobs they gave to their gods also reflected actions associated with the animals they observed. For instance, Anubis, the jackal-headed god, was associated with the dead because wild jackals were scavengers that could be found around desert carrion. 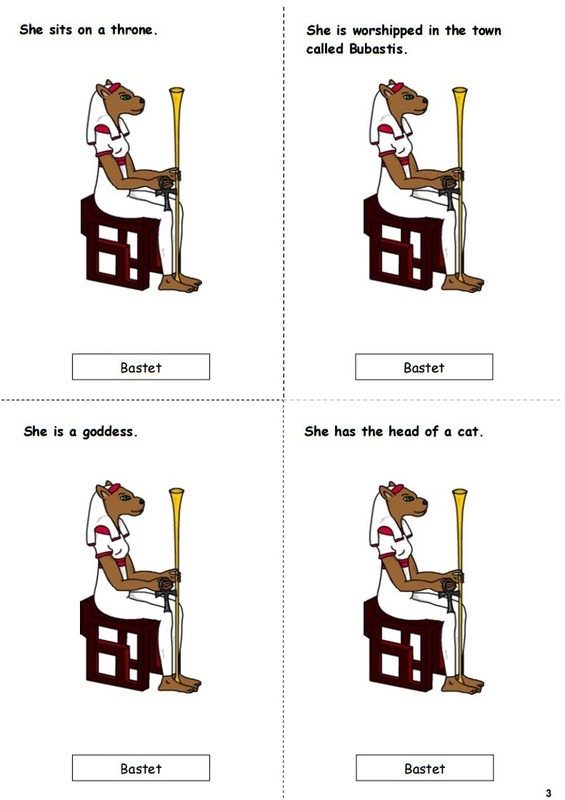 Annut, the devourer, had the head of a crocodile and became the fate of anyone who did not pass the test in the Hall of Maat..
Today, you’re going to make up some ancient Egyptian gods. 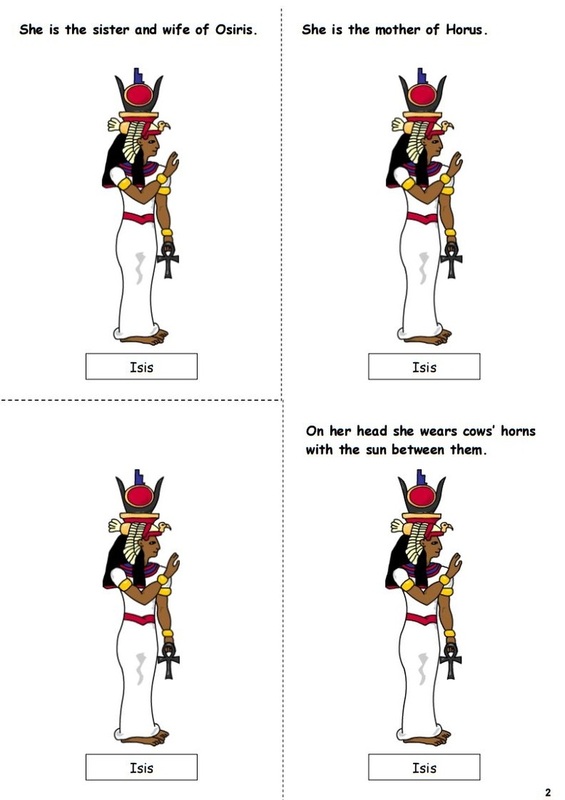 After choosing the characteristics and appearance of your Egyptian god, you will write a short creation story that includes how your god came to be and shows them using their powers. If you have trouble coming up with an idea about how your god came to be, consider one of the following: 1) Your god fell out of they sky, or 2) Your god appeared suddenly out of the sand. 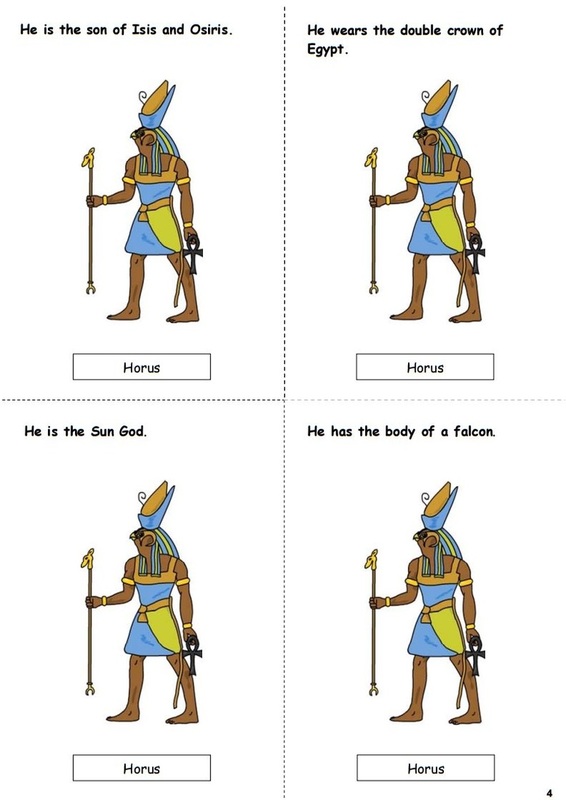 Use one of the adages below to begin designing a god as the ancient Egyptians did. You may use a different adage if you choose, but please check in with me before you begin if that’s what you choose to do. 1. First, design your god’s appearance. Choose one of the following on which to build your design. 2. Decide what your god stands for - school, friendship, fun, homework, good advice, or whatever you choose. Describe your god’s job, what your god protects (or whom) and what or whom your god punishes. 3. Give your god one or two supernatural abilities that will help that god or goddess to do their job well, like being able to see in the dark or never sleeping. 4. Put your god to work. Remember, your god’s job should align with the characteristics you have given them. 5. Illustrate your story. At least one illustration must include a drawing of your god with his or her animal head. 6. Post your story on your blog so that all can enjoy your work. 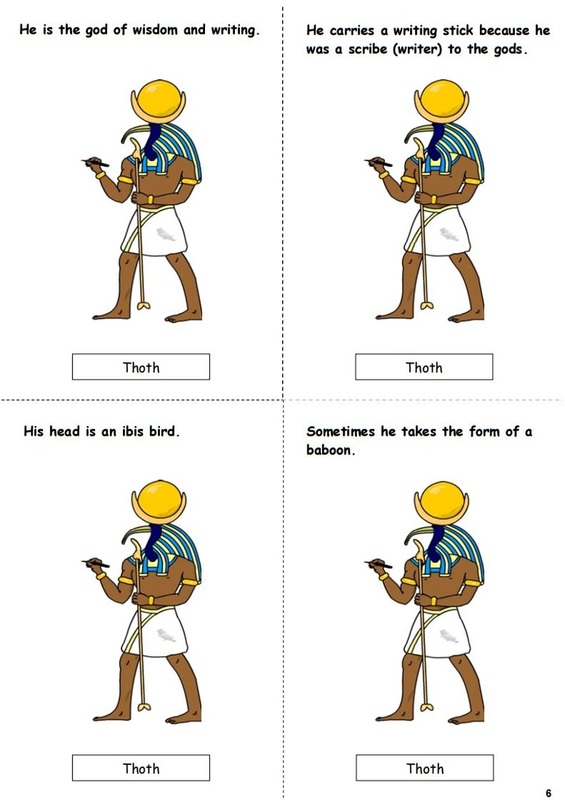 For this activity you will play the card game favorite, Concentration, to learn more about a few Egyptian gods and goddesses. The goal of Concentration is to find cards that match one another. In this case, the cards are Egyptian god cards. First, cut out the god cards below. Turn all the cards face down on the table. Each turn, flip over two cards. If you find a match, collect the cards and read the facts about the god on the cards. If you do not make a match, flip the cards back face down. Continue until all the cards have been matched. The player who collects the most cards is the winner.